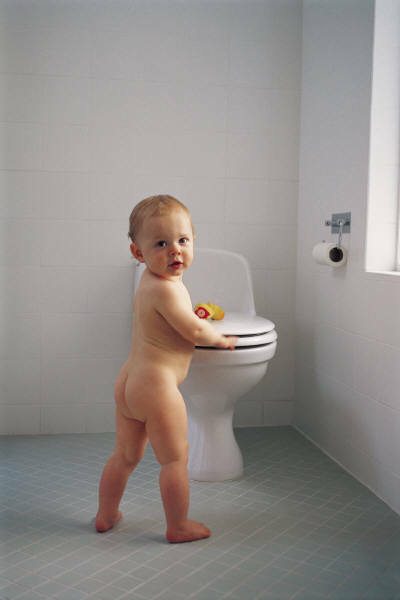 There is so much advise these days on potty training your toddler it is hard to know what to follow. It’s a bit like maths, there are several possible ways to work out a sum and still reach the correct answer, just some methods are quicker than others! The reality is that by one means or another we have all come through potty training and learnt toilet etiquette. 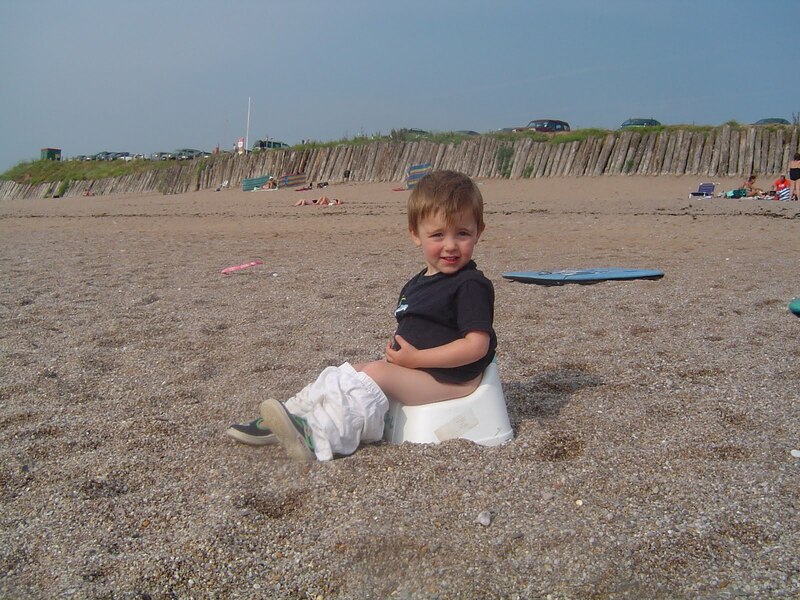 · Your child needs to want to move on to potty training and you need to be committed to making it work for them. Typically most are ready between 18 months and 3 years, but don’t panic, I do know of exceptions at either end! My children were all ready to be trained at around their 2nd birthday, this is not important, what is important is that you pick up on their cue as to when they are ready and able to learn. Try too early and you will both be disappointed, leave it too late and lazy behaviour sets in. Have a potty in the bathroom before you start, from around 16 months and encourage them to try for a wee before their bath, no pressure, don’t force the idea or make it a big deal, just encourage the motion, praise them for sitting there when they do. If 30% or more of the time they can produce the wee then they are probably ready to learn. Other interest in the toilet habits, wanting to see you go or trying to pull off their nappy all the time are other good indicators. I’m sure there are more, you will know your own child best. 2. Big boy/girl pants go on in the morning and nappies are out! 3. Set the timer every 5 minutes. When it rings stop what you are doing and sit them on the potty. Try for just a short wee, no need to wait more than say 15 seconds, if they think there is nothing there that’s fine. Repeat for the first hour, any successes reward with a chocolate button or other motivating treat…..they soon get the hang of this game! Keep their fluids up so they can achieve their goal. 4. Increase the intervals during the first day to around every half hour max – toddlers after a drink will often struggle to go longer. Keep them occupied during the day but not so engrossed they don’t want to stop what they are doing for the potty! Continue as for day 1, carry the potty with you if you move around the house or to the garden so it is at hand when the alarm goes. Take away the alarm and start the perpetual “do you need a wee?” comment. Keep the reward bit up if you need to but most will be so proud of their achievements and big girl / boy dry pants they won’t need the reward, just constant reminding and praise. Go out, visit LOCAL friend or the park, just remember to keep asking and ensure it is somewhere where you can whip out the potty. If a toddler replies “yes” to the “do you need a wee?” question it means now not in 5 minutes when I find the toilet! Our Guy at the beach! So what about night time? Give them their last drink around an hour before bed time from the first day of training. In my case it was 6pm milk, 7pm bed. Ask them to do a ‘last wee’ before bed, then invest in trainer pants for bed time, we called them night night pants. They had no other use as we never used them in the day. Allowing an hour for the drink to go through before bed helps night time success. The brain is learning day time control and it will automatically work at night time too. I found 1 pair of night pants would often last a few days before an accident so you should be well on your way to dry nights all at the same time. Dry nights does take longer, since once the brain can control the night it then has to learn to wake the child when he/she can’t last the whole period and this tends to be the harder bit, much easier when you are already awake! However they will soon be encouraged by some dry nights and I found within a couple of months I could do away with the night pants. 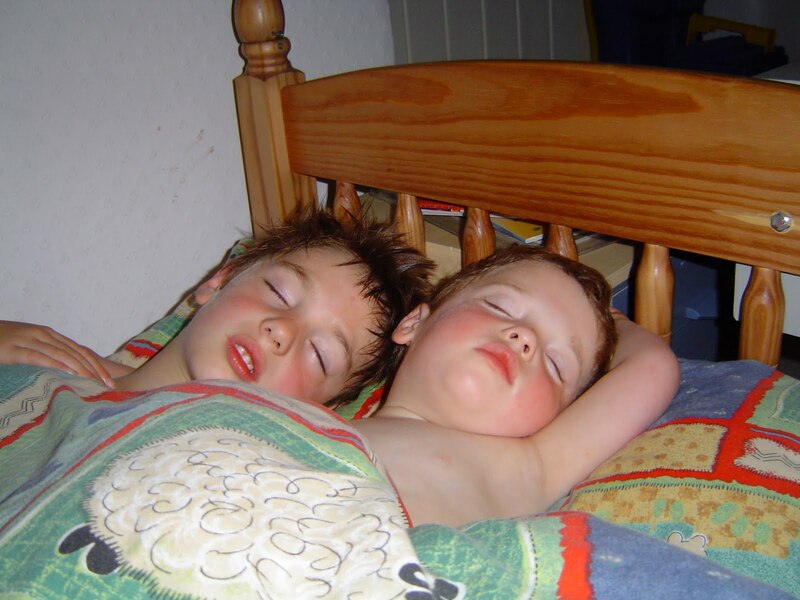 A good nights sleep from 2 caring, sharing brothers! I am not saying my system is perfect, or that you won’t have any accidents, but if you are dedicated to following through with the timer and asking endlessly if they need a wee you will minimise accidents and boost your child’s confidence till they remember to go for themselves. It really is just a week of intensive training then just gentle reminders as often as you feel necessary. The important thing is to decide to do it and just go for it and not turn back to nappies. If you do feel you are trying before they are ready and it’s just not working, then go back to nappies, take the pressure off you both and try again in a couple of months time or when you think there are some willingness signs from your child. I did have this with my triplets, after ambitiously trying to do them all together I had to concede defeat let one wait a few more months before he was ready. Good luck and I hope to have been of some help. I would love to welcome you and your toddlers on holiday with us at Coombe Mill Farm pre, post or during potty training. We specialise in holidays for young children, have potties and trainer seats to borrow and real cloth nappies free to try too. All our properties have stair gates built in and are designed with little ones in mind. They will adore our daily tractor rides to help feed the animals, potties welcome aboard! Previous Previous post: On the Farm – Wallabies free to good home? Next Next post: Dear Diary – What happened to the play boat?